Home»Android » OnePlus News Daily Dose #50: OnePlus 7 headphone jack, 5G, 3/3T Pie bugs and more! 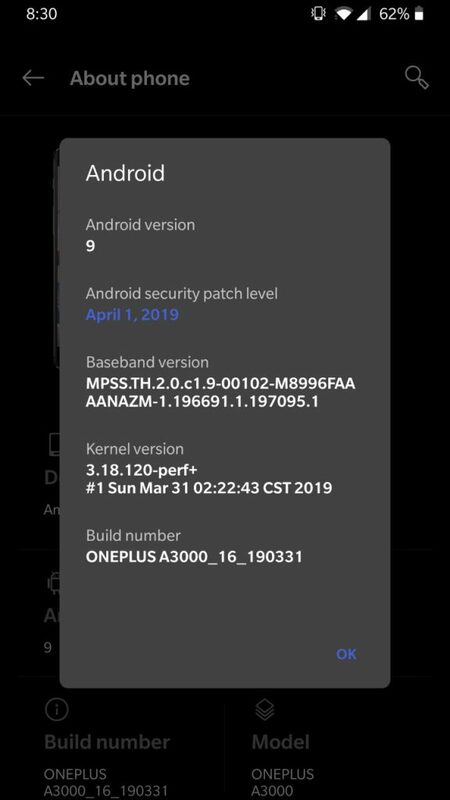 It’s been more than a week since OnePlus China team announced the first public beta of the much-anticipated Android Pie update for OnePlus 3 and 3T duo. Readers may recall that OnePlus team initiated a closed beta program before releasing the public betas. Thanks to the impatient users, the closed beta builds were leaked anyway. The primary intention of organising a beta test is nothing but testing the newly cooked software (here, the Pie update) in real life scenarios and collecting bug reports. Developers can then squash out the bugs in the final build based on the reports. No response after pressing the home and the app switching keys. After the screen is off for a period of time, pressing the Power button can not wake up the phone. Upon entering the setup, OnePlus store can not be loaded normally. The rear camera displays a blank screen. The front camera is turned black sometimes. The above list has been published in the OnePlus China forums. Now the team is asking the users to validate the bugs, i.e. test the aforementioned symptoms under various scenarios and share the complete logs and steps to reproduce the bugs (if any). An official OnePlus bug hunter will be assigned to each member reporting a valid bug. OnePlus has promised to reward the bug reporters with a small token of gratitude. On the other hand, the global OnePlus team is surprisingly silent about releasing a public beta for OnePlus 3/3T OxygenOS 9.0 (based on Android Pie). It may be possible that they are planning to release the build after sorting out the major bugs using the above feedback channel. 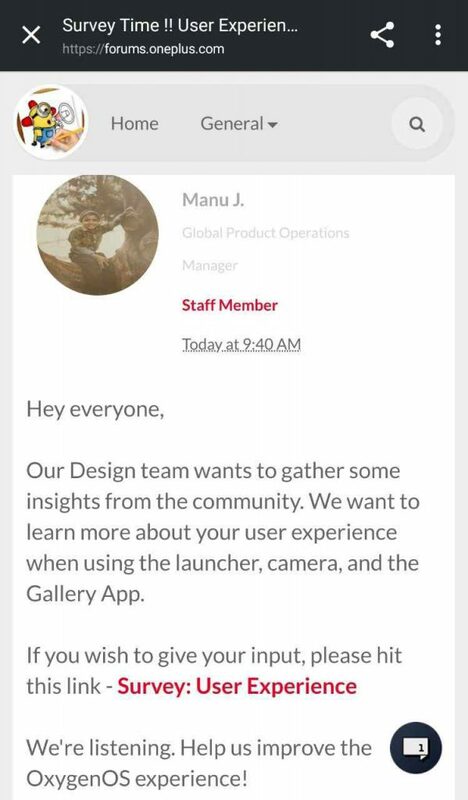 However, Manu J., Global Product Operations Manager of OnePlus, has started a thread about a new user experience survey. The survey puts a heavy bias on the stock launcher, camera and gallery apps. Volunteers will be asked to share their views on the existing functionalities of the apps, the pros and cons as well as preferred third party alternatives. 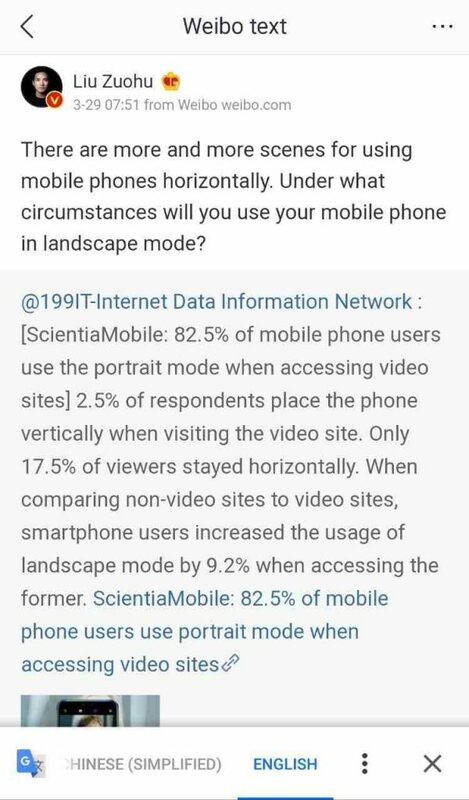 Interestingly, OnePlus is curious to know about the camera orientation you prefer while capturing a photo or shooting a video. Didn’t we stumble on the same query before? Call it a coincidence, but I guess OnePlus is going to give their users another major UI overhaul with the release of OxygenOS 9.5 with OnePlus 7. Now a fresh set of case redners for the upcoming OnePlus phone(s) has been surfaced on the Chinese social medias. Most of them are pretty generic and inline with the previous leaks. Nevertheless, there is this particular oddity in one of them. Can you spot something weird in the following render? Wait, is that a headphone jack? 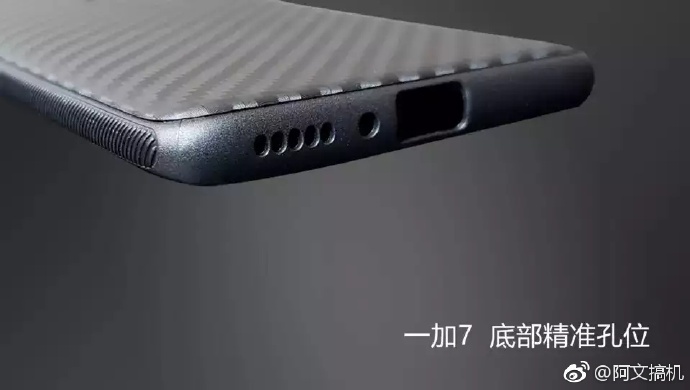 Will OnePlus announce two separate models – one with headphone jack (regular OnePlus 7) and one without (Oneplus 7 Pro)? Let us know by commenting below. Meanwhile, leakster Sudhanshu Ambhore managed to get his hands on another set of case renders. 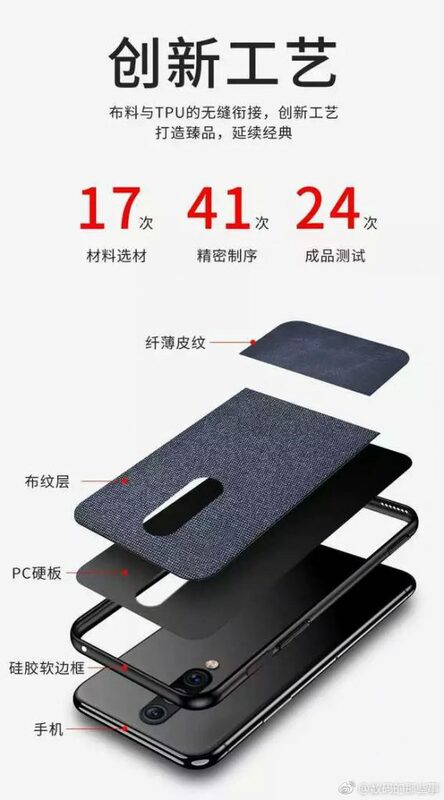 Curiously, the model phone inside the case is different from the design we saw earlier. 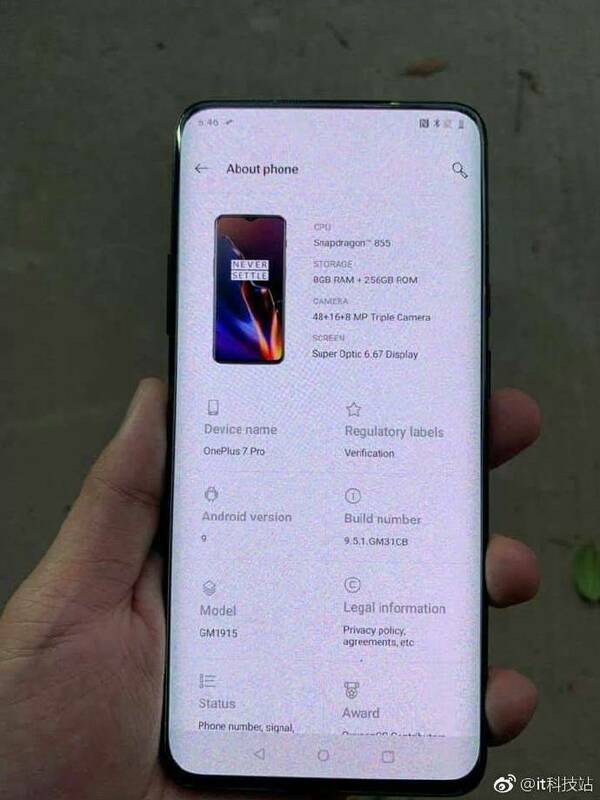 It is more like the existing OnePlus 6T, although the position of the rear LED flash is a tad different. Instead of situating beneath the dual camera modules, this one is placed in between them. 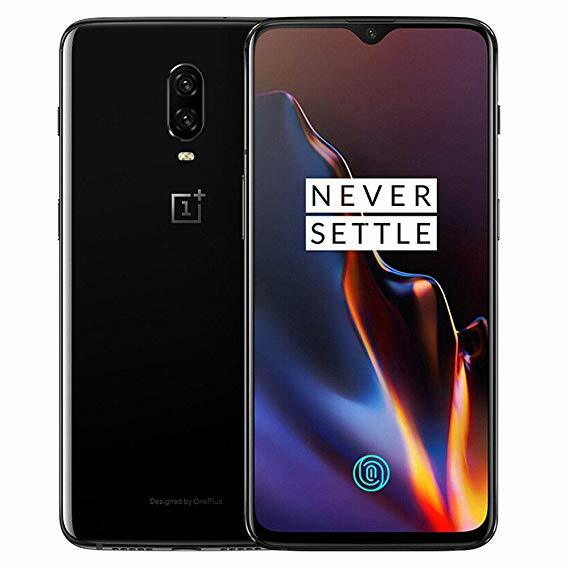 It is highly probable that we are looking at some cancelled prototype or a different variant of the OnePlus 7. Personally I like to stick with the second proposition. 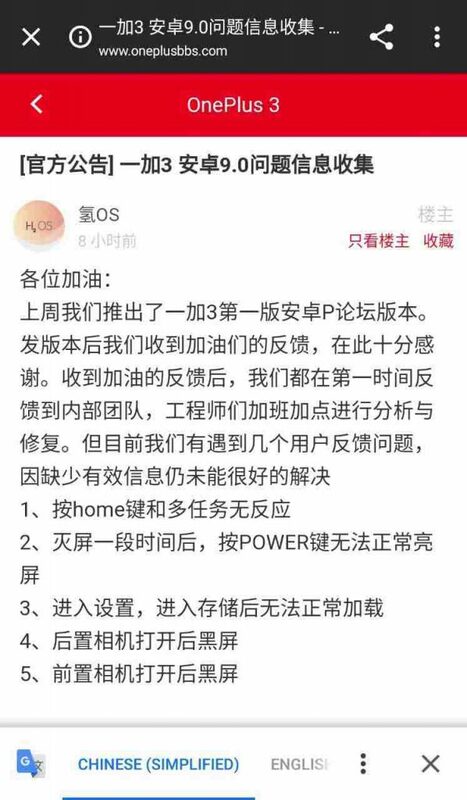 The 5G model of OnePlus 7 is coming, and there is no doubt in that. OnePlus team shared the third part of their 5G Open Course with the goal to share the behind the scene knowledge about 5G. With 5G smartphones containing new hardware – a 5G radio and antennas – this creates a whole new challenge. The product must work as well as 4G products (battery life, performance, etc.) while also retaining a similar size. 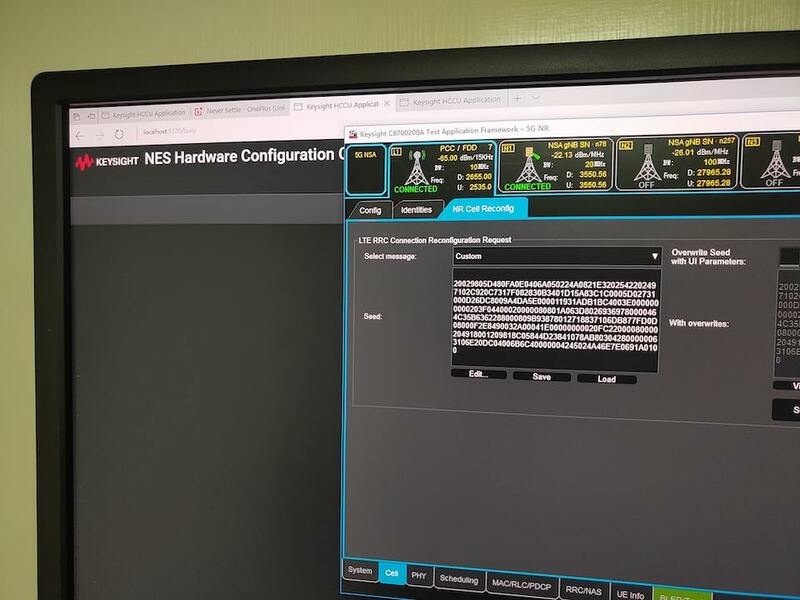 This new equipment means that extra effort is needed to make sure that the size, performance and efficiency of new devices live up to customers’ expectations. Interested readers should take a look at the official thread to know more. You can also participate in the 5G Open Course quiz to win the OnePlus 5G Scholar badge. Moving on, BookMyShow started a fascinating game in the social media in this season of the Indian Premier League. By playing the AR bowlout game, you may win a brand new OnePlus 6T! Is the Cricket ka fever high this T20 season? Show it to us by just playing the addictive #BowlOut AR game and stand a chance to win @OnePlus_IN 6T smartphones. Give it a go and try your luck! See you guys next week.